Well for the past year I think I’ve taken obsession to a whole new level. I’ve watched the movie The Wolf of Wall Street hundreds of times and spent countless hours researching the facts behind the film. 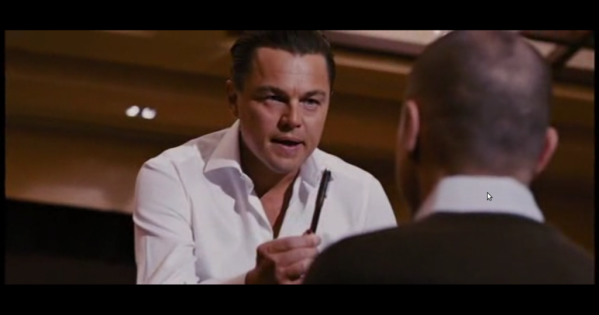 The movie is based on Jordan Belfort’s own true life story depicted in his book “The Wolf of Wall Street.” The movie poster (pictured above) portrays Leonardo DiCaprio as the real life Jordan Belfort. So naturally, I had to research Jordan and everything about the movie. 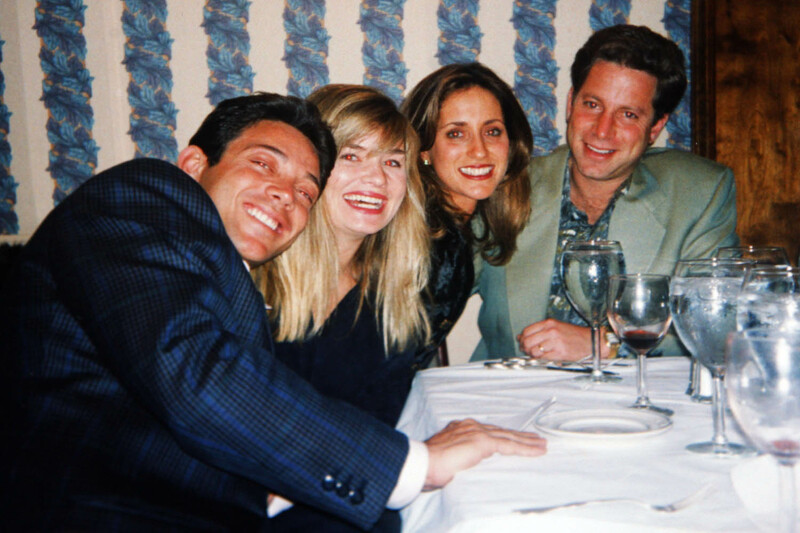 Many of Jordan’s former friends and coworkers have publicly said no one ever called him “the wolf of wall street” or “Wolfie.” Even the Stratton Oakmont offices were located in Lake Success New York… A long way from Wall Street. However, it does make a clever title for a book and this is most likely where the nickname and movie title originated. Notice Leonardo DiCaprio’s pose on the movie poster is very similar to Jordan’s pose in the Forbes article. Read the actual 1991 article from Forbes Magazine. The diner in the movie was called the Kacandes Diner. However, in real life the dinner is located at 63rd Drive and Austin Street in Queens, New York and is actually called the Shalimar Diner. So this made me wonder why they would change the name of the dinner to Kacandes? Well it turns out that one of Martin Scorceses’ long time producers is named Georgia Kacandes, So there is no doubt that Scorsese changed the name of this dinner in the film as a tribute to Kacandes. When I first saw the movie, I thought to myself, wow, this seems just like another one of my favorite movies from 2000 called Boiler Room. 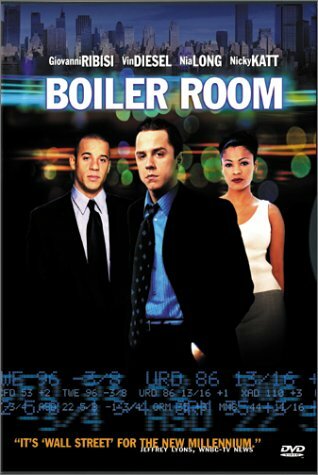 After some research I discovered Boiler Room was also loosely based on the life, office culture, scams, & exploits of none other than, Jordan Belfort and Stratton Oakmont. In the film Jordan loved to give motivational speeches, and apparently this was true in real life too. Watch the video below to see one of Jordan’s actual speeches at the 1994 Stratton Oakmont Christmas Party. Who doesn’t love a look back into the 90’s? Hampton’s Bash or Weekend with Bernie? In the movie, Jordan meets his second wife “Naomi” at his house in the Hamptons (which did happen in real life.) This house that appeared in the movie isn’t actually Jordan’s, but it is real and located on HoffStot Lane in Sands Point Long Island. I couldn’t help thinking I’ve seen that Hampton’s house before even though I’ve never been to the Hamptons. I had originally thought and read somewhere, that this was the same house used in the 1989 film Weekend at Bernie’s. Although, the architecture is similar, I found out that the Weekend at Bernie’s House was actually built in North Carolina for the film and dismantled after the film wrapped. Damn, I really t thought it was the same house. I wanted to learn more about some of the film locations in the movie and found an interesting interview with the Wolf of Wall Street production designer, Bob Shaw. It offers a glimpse into how the locations and set design created a unique look for the film. With over 150 locations, it’s hard to imagine how everything comes together. The quote below by Bob, offers a fun look into why some people turn their house over to a production company for a movie shoot. In this case he’s referencing the huge Hamptons party house shown in the film. In my exhaustive research, I found another great article that describes many of the film locations in detail. The famous Rao’s restaurant is also featured. You might know Rao’s from their delicious pasta sauce. Yum! If you’re looking for some more details about the the filming locations in the movie here is a great run down. There are a lot of locations in New York City, Westchester, New Jersey, & Long Island. I didn’t even realize that some of these scenes were filmed fairly close to my own house. It might come as a surprise, but Jordan is not actually a fan of this sales tactic. 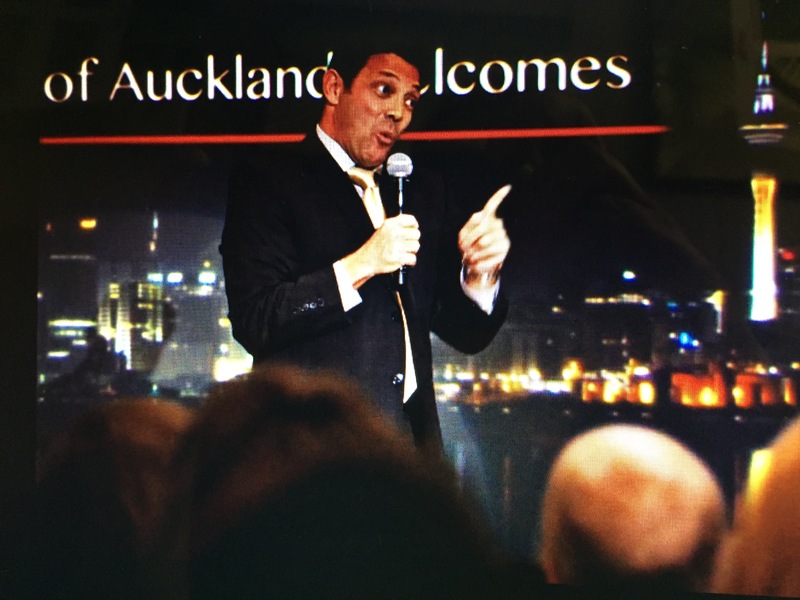 In several interviews he mentions that it’s a bit of a trap for a salesman. Since there is no context to the question “sell me this pen” the salesman does not know the needs of the customer and most likely will respond with nonsense answers like, “it’s a great pen” or “this is the best pen in the world.” He mentions the correct response to this question would be to ask more questions like what kind of pen do you normally use, how often do you use a pen, or do you even use a pen? In the short video below, Jordan explains this tactic in an interview with Piers Morgan on CNN. At one point in the movie, Trump Tower is featured as the residence of Jordan and his first wife. The private residence, is accessed through the side entrance which has recently become the highly secure entrance for president elect Donald J. Trump. With the recent election of Donald J. Trump as the president of the United States, the security has recently been significantly increased for this buidilng as outlined here. Anyway, back to Jordan’s wife Naomi who was also referred to as a former Miller Light girl or The duchess of Bay Ridge Brooklyn. In real life her name is actually Nadine who was a model for Miller Lite in the 1990’s and she and Jordan are currently divorced. Check out this article to read more about about Jordan and Nadine and see some photos when they were together. Check out this link to match the movie characters to their real life counterparts. 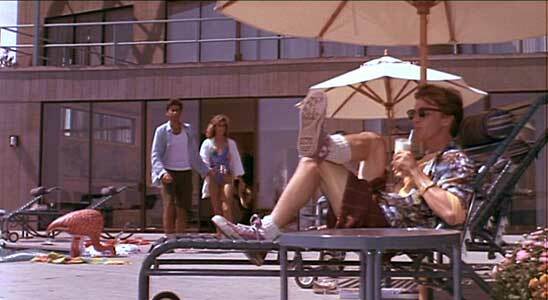 So are you wondering if Stratton Oakmont really took the Steve Madden IPO public? They sure did and Madden was arrested and went to prison when Jordan gave him up to the FBI for taking part in the stock rigging scheme. There’s a funny scene in the movie where “Steve Madden” attempts to give a speech to the “brokers” only to be met with insults which results in items getting thrown at him. At one point he holds up one of his newly designed shoes called “The Mary Lou” which is a new version of the Mary Jane, however, a female broker reticules the new product by yelling, “it’s a fat girls shoe!” For some reason, the cruel and harsh comment makes me laugh every single time. 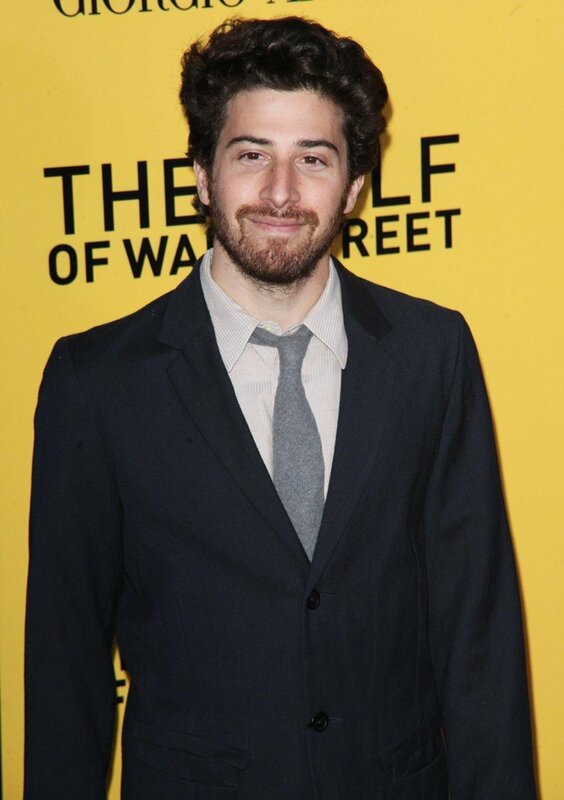 Well the guy who played Steve Madden in the movie is actually Dustin Hoffman’s 33 year old son Jake Hoffman who is close friends with Jonah Hill in real life. Who knew! In the movie, Jordan bought his wife a yacht and named it Naomi. I though, this can’t be real, well it turns out in real life, he actually did buy her a yacht. The real yacht was originally built in 1961 for Coco Chanel. It was later purchased by Jordan and named “The Nadine.” The yacht finally met its demise and sank off the coast of Sardinia in the Mediterranean Sea when Belfort insisted his captain take the ship into high seas. Jordan and his crew actually had to push the helicopter off the deck to make room for the Italian navy to come rescue them. And here is the Yacht used in the movie, on set, portrayed in the movie as the Naomi. 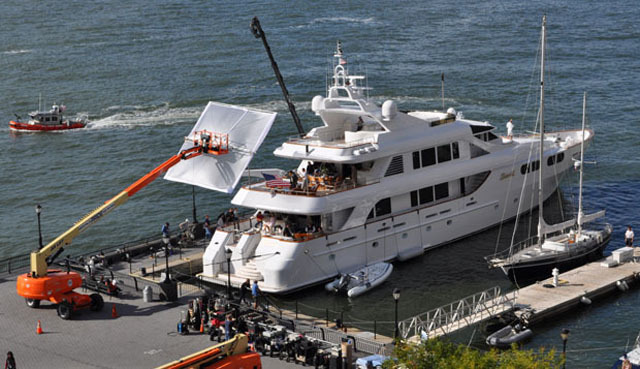 Sorry to burst your bubble, but many of the different looks and locations for the yacht were achieved with green screens. While Jordan’s House was huge and quite extravagant, it was not the one pictured in the film. Below is a photo of what was Jordan’s actual home in Old Brookville Long Island. Click here to see more images of Jordan’s actual former home in Old Brookville, New York. At almost 9000 square ft, it’s currently on the market for the tiny price tag of $4,750,000. 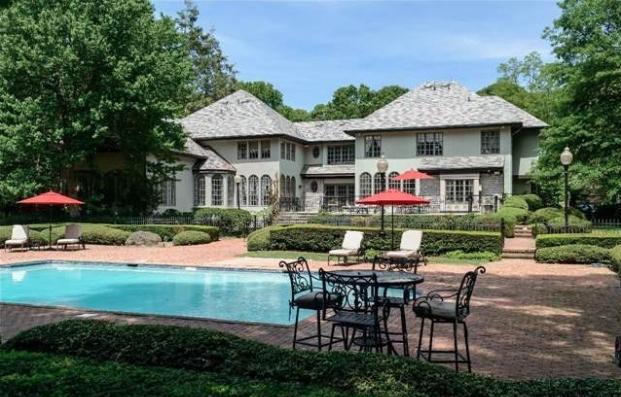 However, the house used in the movie was a little more extravagant located in Oyster Bay, NY and pictured below. When I first saw Jordan’s Private Detective in the movie, I thought he looked familiar. That’s because not only is he a frequent Fox news contributor, but he was also the detective who arrested Henry Hill in the movie Goodfellas. 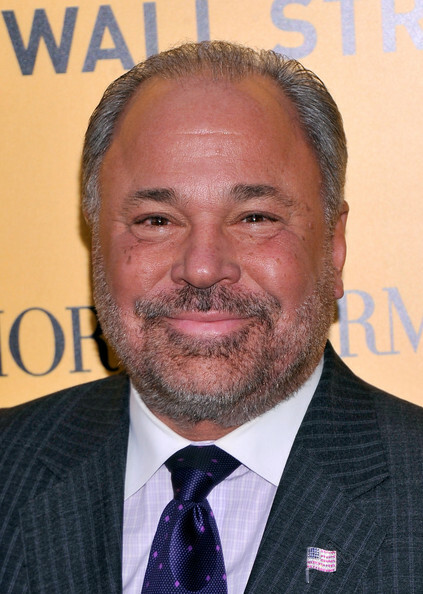 It turns out, the reason why they chose to cast Bo Dietl as the PI in the movie, was because he was actually Jordan’s Private Detective in real life. Who better than to play the guy… but the actual guy? There was one scene in the movie that always baffled me. Jordan and friends are sitting around a conference table and discussing some of their upcoming events. Specifically, covering little people in velcro and tossing them at a target for fun and/or money. At one point they break out into a chant (gooble, gobble, one of us.) I often wondered what exactly they were saying and what did it make reference to. After a little research, it seems they were making reference to a distrubing 1932 film called “Freaks.” I actually found the original scene you can view below. Well Jordan does actually get busted and make a deal with the FBI. He gives up almost everyone involved with the scam in exchange for a reduced prison sentence. In case you missed it, at the end of the movie, Jordan actually makes an appearance when introducing Leonardo Decaprio as Jordan. Cheech & Chong Made Me Do It! 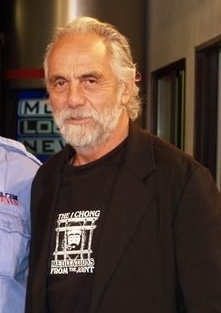 An interesting fact, during prison, one of his cellmates was Tommy Chong of the famous Cheech and Chong. 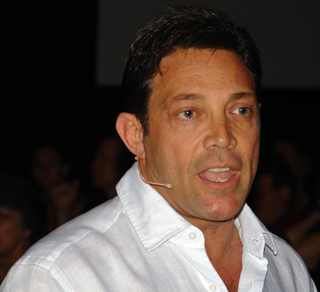 Tommy encouraged Jordan to write a memoir about his past life experiences which ultimately became the movie the Wolf of Wall Street. While the movie works hard at glamorizing an obscene lifestyle, you cannot forget that there are thousands of victims still financially affected by the Stratton Oakmont “pump and dump” scam portrayed in the film. Well I hope you enjoyed a glimpse into a year long obsession of research and enjoyment. Believe it or not, there’s actually a lot more, but maybe I’ll save that for a followup post. 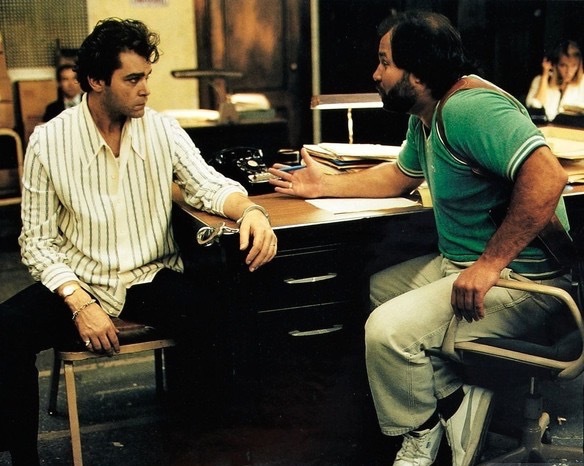 This entry was posted in America, Entertainment, Finance, History, Movies, New York, Pop Culture, Uncategorized, Wall Street and tagged Actors, Behind the Scenes, Boiler Room, Criminal, Finance, Greed, Hamptons, Long Island, Modern History, Movie Locations, Movies, New Jersey, Oscar Nominated, Oscars, Pop Culture, Pump and Dump, Queens, Stock Market, Stocks, The Real Wolf of Wall Street, The Wolf of Wall Street, Wall Street. Bookmark the permalink.